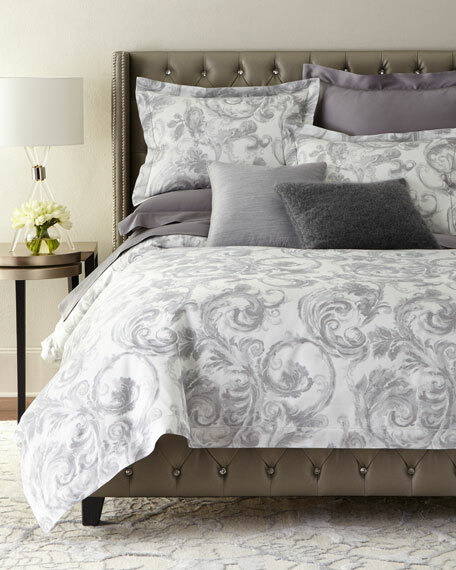 Leafy tendrils dance across this sateen jacquard duvet cover. 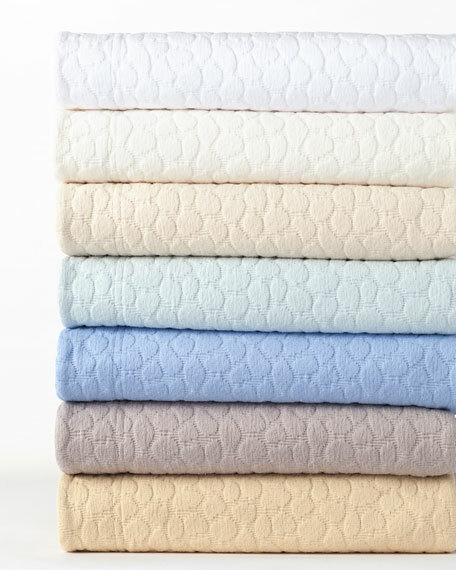 Made of yarn-dyed, long-staple cotton. 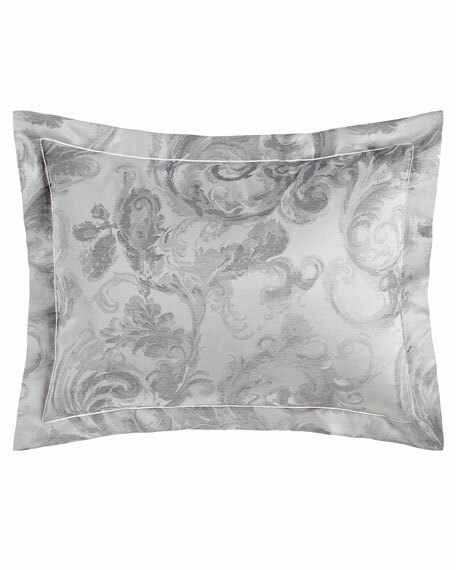 Sleek cotton sateen sham has a muted luster and hemstitch detail. 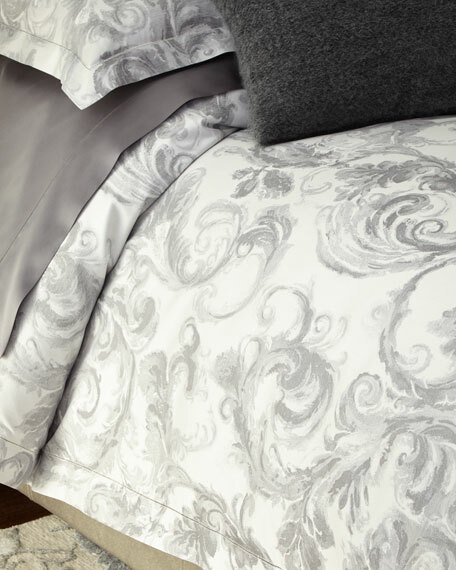 Leafy tendrils dance across this sateen jacquard sham. 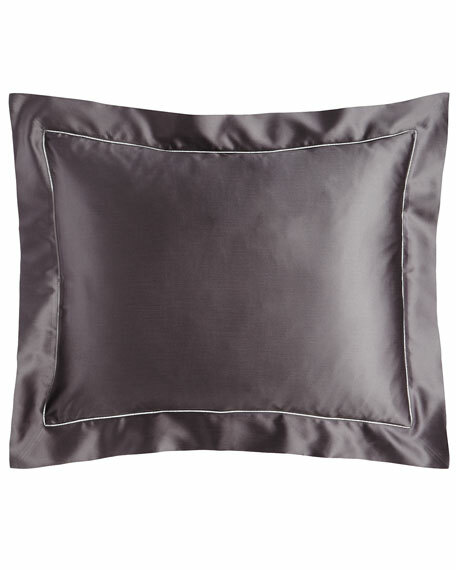 SFERRA Plush Mohair Pillow, 18"Sq. 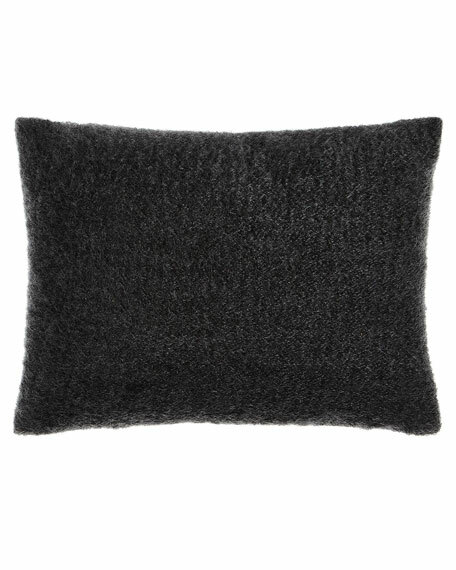 Plush mohair blend pillow has a shearling-like texture. 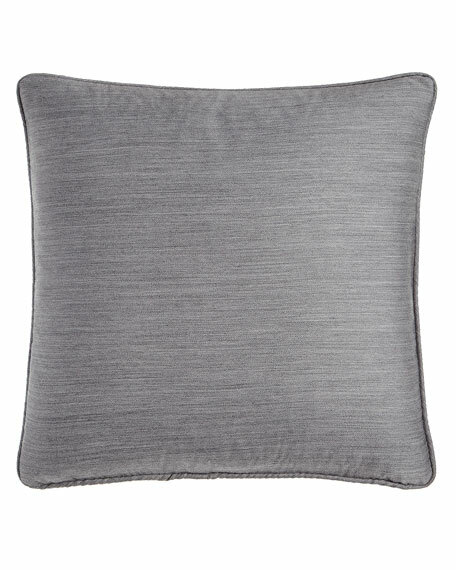 Ripple pillow woven of wool and polyester. Piped edge; hidden zipper closure; feather/down fill. 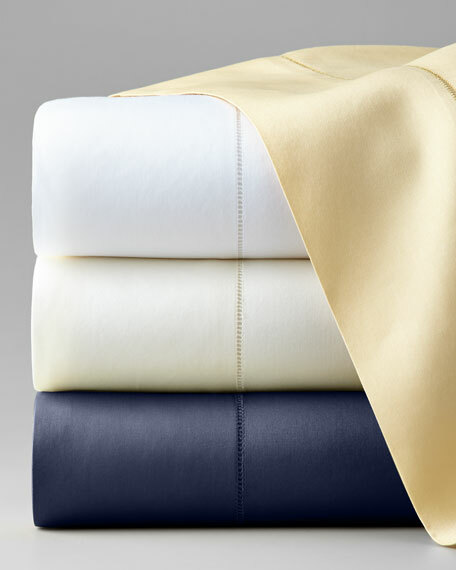 Italian-woven, 590-thread-count, long-staple cotton sateen sheets have a luminous sheen and rich drape. 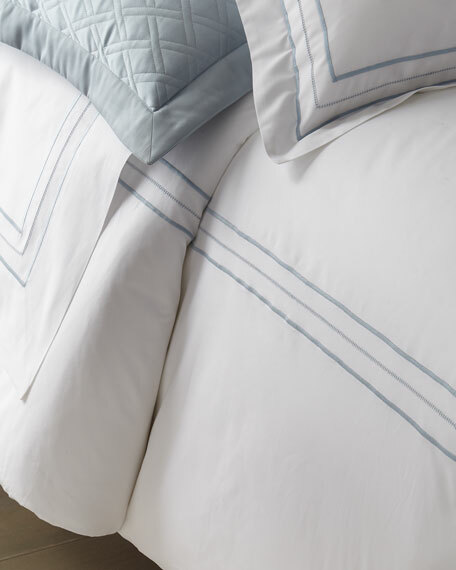 Italian-woven, 590-thread-count, extra-long-staple cotton sateen sheets have a luminous sheen and rich drape. 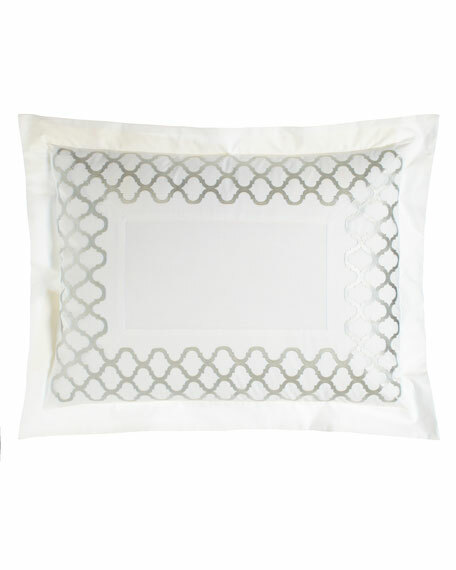 White cotton percale with silver embroidery.20" x 36".Machine wash.Made in the USA of Italian fabric. 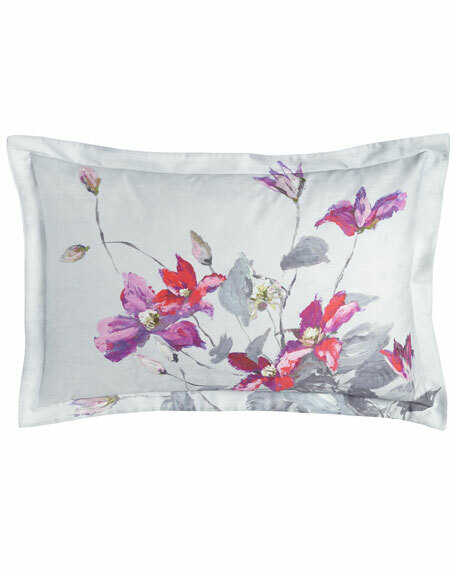 Sham features a colorful floral print against a cool gray background.300-thread-count cotton sateen.20" x 36".Machine wash.Made in Spain.